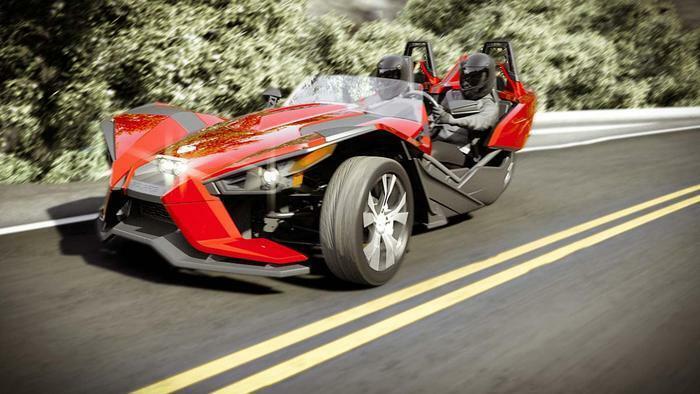 Polaris Industries is recalling 17,572 model year 2015-2017 Slingshot motorcycles manufactured March 4, 2014, to September 7, 2016. The recalled vehicles may have been manufactured with a swing arm that has insufficient strength. Due to insufficient swing arm strength, the swing arm may fracture resulting in a loss of momentum or vehicle control, increasing the risk of a crash. Polaris will notify owners, and dealers will inspect, and repair or replace the swing arm, as necessary, free of charge. The recall is expected to begin in November 2016. Owners may contact Polaris customer service at 1-855-863-2284. Polaris' number for this recall is T-16-06.